Kids are awesome but they can add an extra level of complexity to almost any activity. This doesn’t have to be the case with camping. I have 3 kids of my own, ages 7, 5, and 2. After many camping trips with our kids, we use these 6 hacks for camping with kids to make the entire process easier. We always use these hacks and they have helped us have some great camping experiences with our kids. One part of camping that gets tougher once you have kids is the amount of camping gear you need. 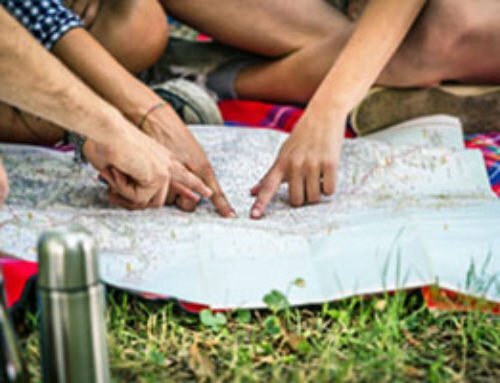 The costs start adding up quickly and it can get to the point where you simply decide it’s too expensive to go camping. Don’t fall into this trap. There are a lot of great ways to get all the camping gear you need without spending all your life savings. We’ve found that there are 3 main ways to save on camping gear. When we first started camping with our kids this is where we bought most of our gear. If you look carefully you can find some really great deals on gear that still has lots of life left in it. The places where we tend to find the best deals are on Facebook and Craigslist. Shopping the clearance section and waiting for holiday promotions is a great way to save money on camping gear but it requires some patience. This method typically only works if you are not in need of the gear right away. 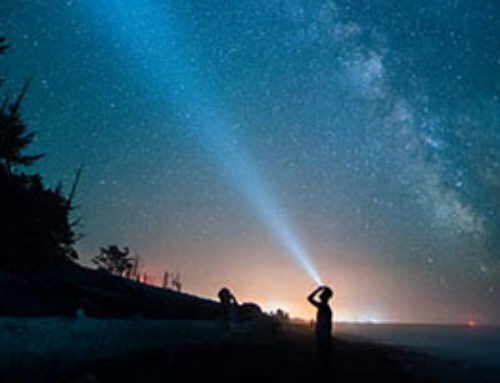 If you are planning a camping trip far in advance, this is a great way to save money. Stop by your sporting goods stores, check out their clearance sections, and pay attention to sessional promotions. These are only a couple of ways to find cheap gear but there are lots of other ways as well. 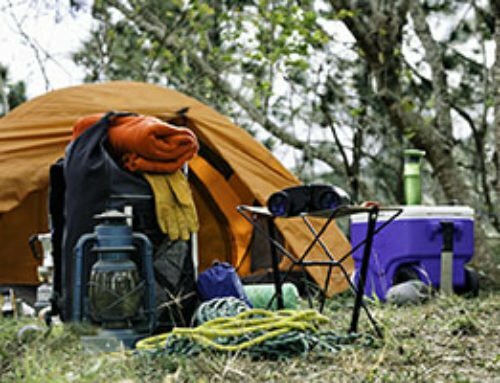 For a more in-depth guide check out our post, 28 Easy Ways to Save Money on Camping Gear. 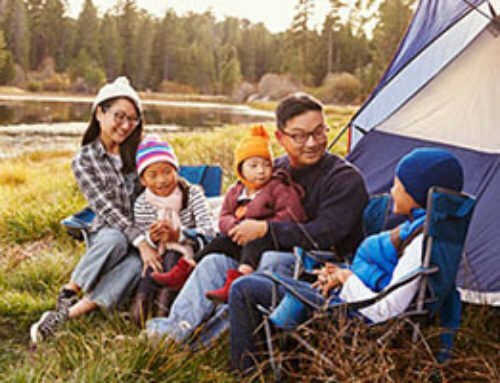 Don’t let the cost of camping gear deter you from going camping with your kids. Getting a good night sleep while camping can be more difficult with kids especially with younger kids. We learned very quickly that if your kids don’t sleep well, the entire camping trip often does not go smoothly. We now bring a couple extra items to ensure that our kids sleep well. These items are a cot for each child, extra blankets, tent fans, and comfortable pillows. It might not seem like anything special but they have helped our kids sleep much better. We use to sleep on a pad on the ground, which worked fine but after a camping trip with some friends who let us borrow a few cots, we were sold. We all sleep on cots now. Getting off the ground and not having to deal with the uneven ground goes a long way towards sleeping better. We always bring extra blankets because regardless of the fact that our kids have good sleeping bags they tend to get cold when camping in cooler weather. Having a couple extra blankets to throw on over kids has helped a lot to keep them warm while they sleep. Likewise, when we camp in warm weather we always bring a couple fans that hang from the tent ceiling. 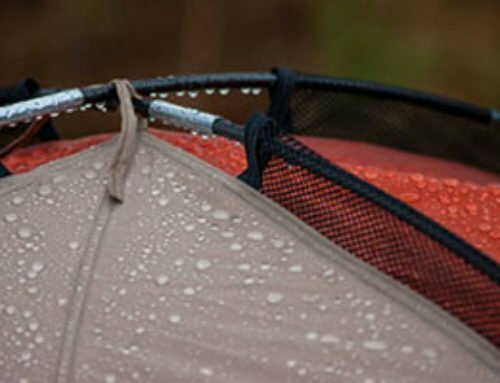 Simply keeping the air circulating in the tent will help everyone stay cooler at night. The last item we bring to help our kids sleep better is comfortable pillows. We have tried using the smaller camping pillow as well as the inflatable pillows but nothing beats a regular bed pillow. We use to not bring these larger pillows because they take up more space but we have found that our kids sleep better with their normal pillows. Keeping kids engaged and active is an important part of making camping easier. When kids get bored they tend to complain more and become grumpy. Over the years we have come up with a handful of go-to activities and games to keep them entertained. Our kids will often entertain themselves for most of the time but they often run out of new things to do towards the end of our camping trip. When then turn to our list of activities to help them come up with something new. The following activities are some of our kid’s favorites. These are only a few ideas. You can find lots more by doing a few searches online. It’s also a good idea to talk to your kids before the trip and see if they could come up with some ideas. That’s where we got the idea to build a fort with old blankets. I can’t tell you how many times I’ve forgotten something important on a camping trip. Making a list is important whether you are camping with kids or not. That being said, having a list that you use every time you go camping will help you not forget anything vital for your tip. Duct tape – This has come in handy so many times I can’t even remember. Extra stakes and a tarp big enough to cover our tent – Just in case it starts raining hard enough that I want some extra protection. An extra toothbrush – I swear someone loses one every time (my son once dropped his in the fire). An extra sleeping bag – I feel like with young kids this is a necessity. We have had our kids accidentally wet the bed a couple times and the extra sleeping bag saved us a trip into town. A fire extinguisher – I really don’t want to be responsible for a forest fire. Extra rope – I’ve used this to tie things down when it gets windy as well as great a rope swing for the kids. For us, we prefer to have more than we need than not have enough but creating a list will help you stay organized and prepared. There are lots of lists online. I like Sunset’s checklist because it has some items/tasks to get or complete before you actually start packing for your trip. 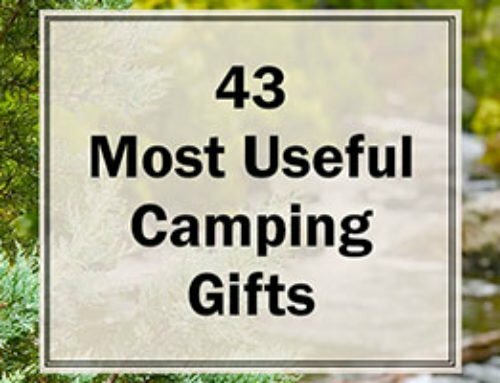 Check out a few, pull the items you like from each and create your own and then improve it with every camping trip. I don’t know why but regardless of when kids last ate, they are always hungry. In addition to our normal food and meals, we always bring lots of snacks for the kids to munch on throughout the day. These snacks don’t have to be anything fancy. They can be simple items like Goldfish, Cheez-Its, Crackers, or whatever else your kids like. We have found that it is best to bring snacks that do not need to be kept refrigerated. We often do not have lots of extra room in our coolers and don’t want to overload it with snacks for the kids. The last tip to make camping with kids easier is to let kids be kids. They are going to get dirty, cut and scratch themselves, lose their toys, make a mess and probably even more. This is the point of getting out and camping. Letting them have fun explore the wilderness and fall in love with nature. I grew up camping and I always loved the freedom of running around the forest and having adventures. If we, as parents, often want to be in control of everything but that is often not the right choice. Let’s let our kids make some of the choices, have an imagination, and learn from doing. I know that we’ll be amazed at the fun they can have without staring at a screen all while developing a love of nature.